The Bright Lights Duet, a thrilling, white-hot second-chance romance from USA Today bestselling author Tia Louise is coming January 8th with Under The Lights, and Under the Stars releasing January 22nd! Full Contact is an all new standalone, Sports Romance by HJ Bellus and Kathy Coopmans releasing January 10, 2018! Pre-order the first book in their crossover series today! Disclaimer: I have signed up with Social Butterfly PR to help promote Bellus & Coopmans and their book. All opinions are my own. Love So Wild, an all-new contemporary romance from Marquita Valentine is available now! Chaos and Control, an all-new standalone from Season Vining is available NOW! Chaos and Control, an all-new standalone from Season Vining is LIVE! Hi everyone! So.. it is that time of year and I decided to bring back my gift guides for you all. I really like doing these kind of posts because it allows me to talk about a bunch of books and give mini reviews.. similar to if you were a customer in a bookstore and I was giving you a quick sales pitch on the title. I didn't do a fiction edition last year since I was mostly reading "grip-lit" but this year there are some fun titles that I think would make fantastic gifts for any book lover or even non-reader in your life. These are titles that I haven't spoken about before on the blog because I want to feature some newer titles for you all. I plan on making other gift guides so be sure to keep your eyes peeled for those posts. Let's get started! My Pitch: Murakami is hands down my favorite author ever and it's a no brainer that I would recommend one of his books right off the bat. 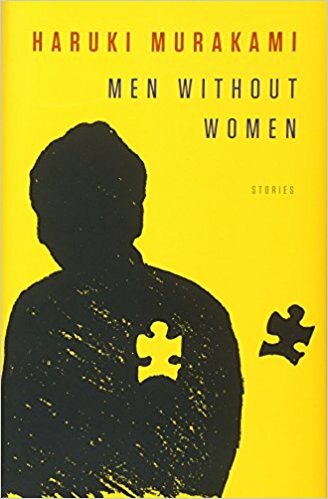 This is short story collection of 7 stories about men who find themselves without women. I am a bit biased because the text is partially translated by a professor of mine: Ted Goossen, and I'm a big Murakami fan, but I really enjoyed this short story collection. Samsa in Love is my favorite one. It just has the magical aura that Murakami's writing always has and I love the way he takes simple every day people and offers them such poignant backgrounds and inner narratives. The way he describes "feelings" and just how one interacts with another individual is just so special. I can't describe it more than that, but Murakami's writing always feels quite magical to me. If you haven't read Murakami before, this is a nice way to get into his work via short stories. This is must-have for your shelf! My Pitch: There are tons of people in Hollywood who I really admire and Tom Hanks is definitely one of them. He is just a genuinely good person and I was so excited to learn that he was going to be writing a fiction book of short stories. (Do you see a theme in my gift guide recommendations so far?) When celebrities tackle writing, it often comes in the form of a biography/memoir so this was quite a nice departure. There are 17 short stories and they all follow various individuals and a typewriter is the common denominator between all of them. There's even a Holiday-esque short story titled "Christmas Eve 1953" - the story examines the night before Christmas in the Beuell household. It was such a sweet story and I really liked how Davey kept the secret of Santa Claus alive and well for his younger sister Jill. The typewriter in this specific story is where the kids write their letters for Santa. As everyone gathers to bed, Virgil Beuell, the patriarch, stays up late to call an old friend named Bud. They had previously spent a Christmas Eve together when they both served together and in a small phone call exchange and moments of Virgil heading to bed, you get a sense of what they experienced as soldiers and how their experiences still affect their day to day life. It's a bittersweet story in a way because the Beuell family is well as they approach the new year, but what Virgil and Bud went through years ago still lingers and has a sense that it will always linger. I think this was my favorite story out of all of them simply because of how I felt when I finished reading it. 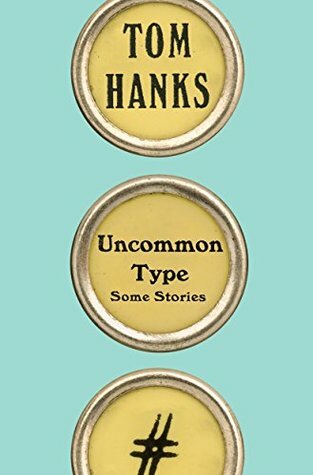 Hanks' writing is just beautiful and I'm genuinely pleased with this lovely collection of short stories. I think there is something in this book for everyone and there's also a nice added touch of photographs throughout the collection as well. My Pitch: I listened to Isabelle and Viann's story a few years back on audiobook, but the story still stays with me daily. I always find an opportunity to recommend this book whenever I can because it was such a beautiful and gut-wrenching story that lingers after you've read it (and in my case: for years). I loved reading about how two sisters dealt with WWII. 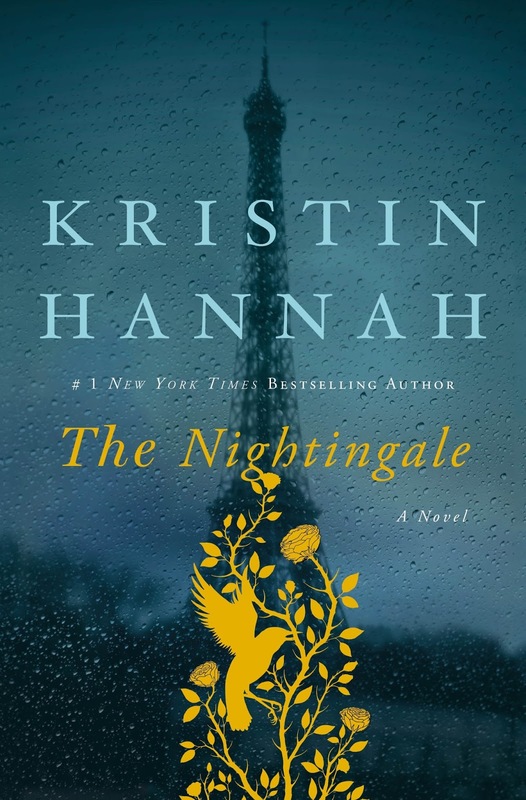 Viann happy with her husband and child finds her world forever changed when her husband is sent off to fight the war, and she has to handle a Nazi-occupied France, even going so far as having one of the soldiers forcibly stationed with her. In contrast, you have determined and stubborn Isabelle who wants to do more with the current situation that help her sister Viann. She feels helpless and wants a more important role during these difficult times. Their relationship is tested time and time again, and there are so many moments that literally had me bawling my eyes out. I just loved this book so much. I will also say that those I have recommended this book to also love it. So basically, everyone loves it and if you haven't read it yet, you really need to change that ASAP. That's it from me folks! I plan on making more of these holiday edition guides so be sure to look out for them. Let me know in the comments below what is your number one fiction gift recommendation for this holiday season! 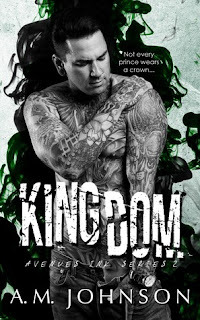 The Premise from the Author: "Kelly Kavanagh was Liam's happily ever after, his loyal princess. A lifeline to something better than any high school dropout could ever hope for...until the day she left to pursue a dream that didn't include him and slowly his kingdom crumbled to the ground. Liam O'Connell was the sun to Kelly's everlasting moon, her painted prince. A strong and devoted soul to fight the war she was slowly losing against herself...until his promises had become lies and her dream was the only way she would ever survive. They have more than just miles and time between them now. The twin fortresses they've built around their hearts are next to impossible to scale. But, when two parallel fates collide in life and in death, will the impact be powerful enough to break down their self-imposed walls? Every love story starts with "once upon a time", but in real life there are no fairytale endings, and the prince who rescues you...will never wear a crown" (AMJ). My overall thoughts and review: I reviewed the first book in the Avenues Ink Series not too long ago: Possession, and I absolutely loved it. I'm excited to continue on with the stories because I just love learning more about the O'Connell family and seeing if each brother gets his HEA. After Declan's story, is Liam's story. You got hints of Liam in the previous book, and we learned from the previous book that he had a very strong and intense relationship, but it ended. He was now drowning his sorrows with a new person every night. Liam's way of escaping his past doesn't last very long when Kelly ends up back in town because her father is dying. We learn that they both came together and planned a HEA ever after together, but things went south when Liam decided to stay around for his family, while Kelly felt the need to leave and pursue her modelling career to get away from hers. They obviously never got over each other and I have to admit, in the beginning, some scenes where Liam expresses his disdain for her returning really broke my heart. You can see how much it pained Kelly and how much she loved him and cared for him. The story shifted back and forth between how they met, their relationship, and where they were today. A sudden accident leaves Kelly in town and she turns to Liam to help with recovery. They slowly find their way back to each other and it was really sweet seeing them just find each other again. I will say I really enjoyed learning their back stories and just learning more about their families. Their families made up such a huge part of their personality and shaped their decisions. It was a nice contrast with Mrs. O'Connell and the fathers in their lives. I really liked seeing Declan and Paige again too. I'm looking forward to picking up the third book to read about the final O'Connell brother and I hope I get some snippets of Kelly and Liam's happily ever after in it. As always, Johnson writes with such great detail and emotion that you end up falling in love with so many passages. I really enjoy her writing and I can't wait to read Poet next! Also, I opted for the Audiobook version and I think both narrators did a fantastic job. I would definitely recommend you pick up the audio version! Disclaimer: I received an audiobook version of the book from Foreword PR & Marketing in exchange for an honest review. All opinions are my own. The British Knight, an all-new standalone contemporary romance by Louise Bay is available NOW!!! Love So Wild, an all-new contemporary romance from Marquita Valentine is coming December 13th! Pilot Elijah Lawson always knew he’d return to Jessamine, marry a hometown girl and settle into very predictable life. After all, he made promises to his parents that once he’d gotten his fill of adventure that he would do exactly that… and Eli was a man of his word. Only he's never been able to get the bewitching redhead he’d fallen hard for two years earlier out of his head and he’s afraid that no woman in Jessamine will ever measure up. Unfortunately, that doesn’t stop his family from trying to set him up with every single woman in town… until Skye Holland shows up on his doorstep. The only reason Skye Holland moved back to North Carolina was so she could do the right thing for her one year old son. A boy, after all, needed his father, while she… she simply needed a fresh start. But first, she has to let Eli know that their red-hot affair had consequences. Consequences she has no intentions of repeating, no matter how many old feelings come rushing to the surface when they’re together. Too bad for Skye that Elijah has other ideas and he’s not going to let this second chance at love get away again. The Premise from the Publisher: "Pay close attention and you might solve this. On Monday afternoon, five students at Bayview High walk into detention. Bronwyn, the brain, is Yale-bound and never breaks a rule. Addy, the beauty, is the picture-perfect homecoming princess. Nate, the criminal, is already on probation for dealing. Cooper, the athlete, is the all-star baseball pitcher. And Simon, the outcast, is the creator of Bayview High’s notorious gossip app. Only, Simon never makes it out of that classroom. Before the end of detention Simon's dead. And according to investigators, his death wasn’t an accident. On Monday, he died. But on Tuesday, he’d planned to post juicy reveals about all four of his high-profile classmates, which makes all four of them suspects in his murder. Or are they the perfect patsies for a killer who’s still on the loose? Everyone has secrets, right? What really matters is how far you would go to protect them" (RH). My overall thoughts and review: I want to preface this review by saying that I finished this in one sitting. It definitely hooked me from the start and I could not put it down. It has quite an addictive quality to it and it is fast paced and easy to follow, regardless of following four different POVs. So while I enjoyed reading it and could not put it down, there were a few things that didn't really sit well with me. The parents in this book ranged from not bad to pretty freaking horrible. I just felt sick to my stomach with some of the remarks that Addy got from her mom. Addy's mom consistently reminds her that her boyfriend, Jake, is too good for her and that she should not screw it up because she's not smart enough to get into a good school and earn something for herself. My heart really broke for Addy in these moments, and I'm glad she had her sister for support, but in a way, I was hoping there would be some comeuppance for her mother. But so many scenes when Addy was being told a certain thing from her mother, I feel like there should've been something in the plot or said by another character that no, that isn't true. So not only did Addy need that reassurance, but I think as readers, we do too. Because it was just left lingering in the air and I'm sure this is a likely occurrence for some readers sadly. Also, even though the story focused on the four individuals, I would've liked to learn more about Simon, and not so quickly towards his end. What did his parents think of his app? How could someone get away with an app like that to be quite honest? It didn't name people specifically, but it did a lot of harm within the student body. I think if we got his parent's side of the story and how they felt about that, it would've added an interesting layer to the story. I also felt when it did wrap up, it moved forward with a sort of epilogue, when I would've liked to see more references to support for mental health and how to prevent what happened in the future. It was more so, the case is solved and where are the four now? I think a lot of things seemed easily resolved, but it didn't feel resolved to me? When stories tackle such dark topics as mental health, depression, and bullying, there should really be a how-to move forward from it and a type of learning component. How can the characters learn moving forward, but also how can readers reading the book learn from it too. I will say though, seeing how the four came together as friends really intrigued me and I really loved Nate and Bronwyn's storyline specifically. I loved seeing all of them come out of their shell and become more than what the app/the media perceived them to be. 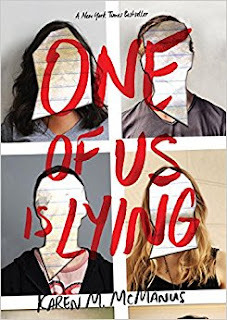 It definitely has a feel of Pretty Little Liars meets 13 Reasons Why.. so if you are interested in a story-line along those lines, I would definitely recommend this to you. You definitely won't be able to put it down!